As with any business trying to get ahead in the market, or showcase a company to prospective new clients, investors or even media, we strive to raise the stakes with our intuitive product design, here at KT Group. 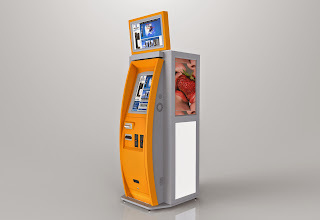 Being that the market for self-service kiosks is aggressively competitive to win new business and also to retain customers, it’s vital that the commercial enterprise showcases relevant products to its prospective buyers. But, to win new business, this entails grabbing the buyers’ attention and we all know from the likes of Apple, Mercedes and Gucci (to name a few), how much product development and design has pushed these brands to the pinnacle of market success. A measure of this can be a quick visit to the markets of China and Turkey, where we see fakes and copies by the dozen, but nothing replaces an original, and successful enterprises know their worth. They demand their designers bring new innovation each year, and here at KT Group it’s no different. 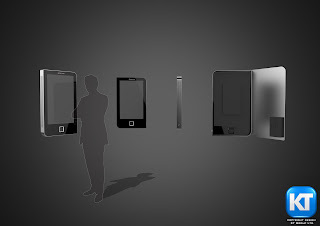 Since the early days, back in 2005, its owner and acting CEO began one of his core beliefs, which was that KT had to shape itself into an innovator in product design. In 11 years, the company has focussed on the manufacture of self-service kiosks and terminals and we have collated over 100 new concepts and ideas that lie at heart of the company product line. New ideas for shapes, innovations in design and, ultimately, new physical product launches such as the Beast and Whizz terminals, come from studying everyday architecture; taking ideas from structures of all kinds and using them to form physically user friendly terminals and, just as importantly, easy to access machine component integration for serviceability, not much different than how the automotive industry experts influence new cars each year with new shapes and technology. 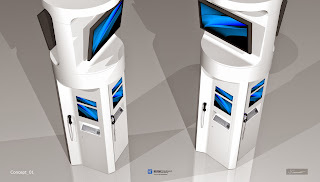 Our growth to date certainly is directly influenced by our product designs that we launch each year, and notably some of the designs have had an enormous impact to our growth. One model that saw KT launch itself, a few years ago, into the sports betting industry was the Beast. 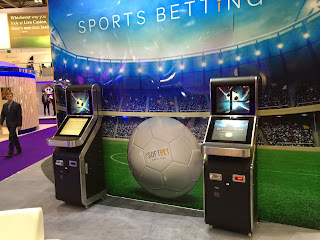 It first launched at ICETECH Totally Gaming back in 2013, and since then we have sold well over 1500 of these, to several sports betting brands in Europe and Africa, and our clients themselves have seen profits grow as product designs, such as Beast, entice players to approach the terminal. Terminals are, in short, a box of some sorts, but a box doesn’t necessarily have to be four-cornered and be made from one type of material. With an abundance of new material innovations within manufacturing and sourcing, the expansion of more interesting designs will increase as long as companies like KT Group are willing to invest its resources into producing box ideas into smarter design terminal technology.